The atmosphere, the people around and the biggest reason: I can combine it with school. No, this is my first experience. Intelligence, good communication, accuracy and fast learning skills. What sort of career progression is available for you? I can start as a dealer and later become PA (and even Pit Boss. That’s all up to you. You’ll get out of the job as much as you put in (job opportunities, bonuses, etc). The atmosphere here is great! That’s why I’m at work every day at least 1 hour before I need to start. I have a morning coffee do my make up and chat with girls, then I’m off to the tables unless I have been assigned another role, such as PA or CM (Chat Moderator). On my free time I study or spend more time with girls or just relax. Sometimes I also leading some chat sessions or meetings with other dealer’s. What other jobs need doing when you are not dealing at the tables? As I said, for me it is also some jobs as a PA or leading some sessions. How many dealers are there? What is the male/ female split? In our Casino we only have female dealers. What training you are given? I’m given all sorts of different training to be able to do my job here. You should be willing to learn and help so you can grow in your job. We have professional trainers who have a lot of experience and at one time were dealers themselves. Around 3-4 weeks. Each person is different, but that is the average time. We are tested on our performance. As I said – tests, table rules, communication and good chat with players. 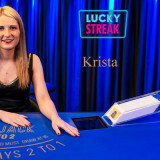 Appearance and some other important things are needed to be part of the LuckyStreak family. Is your on table performance measured? Yes, we have our own evaluation system. How do you know when your are doing a good job? The Pit Bosses and management give feedback about dealers performance. Also, as I said before, we have an evaluation system. So every girl after each month knows what is good and what needs to be improved. Really important. That’s one of the biggest parts of training process. Yes, we have good examples, how to start chat. Some entertaining questions, and as we call them: “Ice-breakers”. There is a lot of topics, what we can’t include in chat: politics, drugs, religions etc. 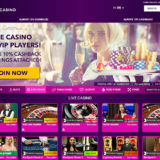 Was there anything that surprised you as being a live dealer? Actually – everything. Because I never knew that I will be in a place like this and that I will love my work so much. When you are dealing what information you have in front of you? A system that shows time when I can deal and where I need to put cards. What information do you have about players? No. Have tried once, but wasn’t my lucky day. 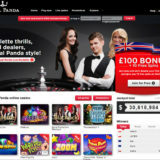 Blackjack, because you can see every player’s actions and see who is winning and who knows and understands how to play. Just to see my friends what I can call as well – second family. Grow and have fun as well, of course. 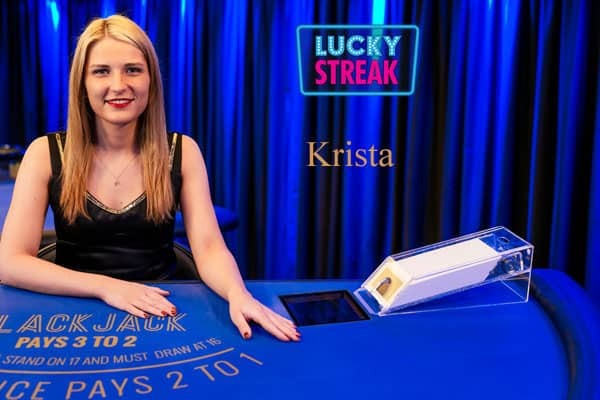 What is the best thing about working for Lucky Streak? I can be myself and do my best and they see that and appreciate my work. Of course, all the team is like my second family and I just like to be around those peoples. Even in my free time. What is the funniest thing that has happened to your work? Some weird sentences from me or player’s at the tables. But actually we have funny moments every day. Nothing much. Not everyone knows where I’m working. But some of them have asked if they can come to work here as well. Me and my closest colleagues. 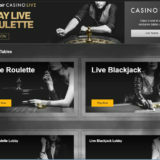 Is there anything else you would like to say to give readers an insight of online live casino? It’s a lot different from what you think at first. It’s a much better world! Thank you for spending some time telling us about life at LuckyStreak.